In 2012 in King County there were 2,964 domestic violence petitions filed in Superior Court and another 619 in District Court. That’s about 14 cases filed every day the court was open during the year. 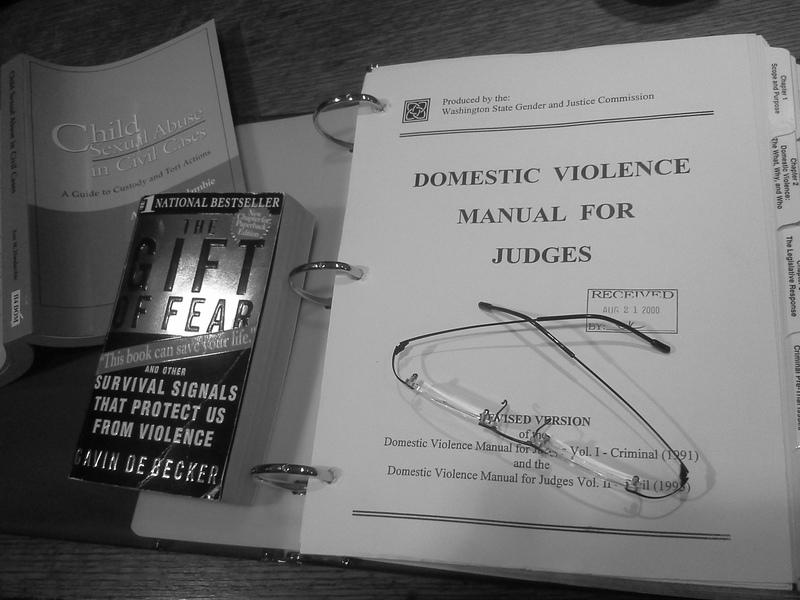 Domestic violence protection orders can protect a person who has a family or dating relationship with another from contact with that person when shown that the defendant has engaged in domestic violence, defined as follows: “(a) Physical harm, bodily injury, assault, or the infliction of fear of imminent physical harm, bodily injury or assault, between family or household members; (b) sexual assault of one family or household member by another; or (c) stalking as defined in RCW 9A.46.110 of one family or household member by another family or household member.” See RCW 26.50 and RCW 26.52. These protection orders relate to other types of restraining orders in complex ways that can be confusing. See Restraining Orders, for more information. We can help you defend against an unfounded or overly zealous petition or help you to obtain such an order as part of a more comprehensive “safety plan” to help ensure you aren’t harmed or threatened again. Give us a call to see how we might be able to help you within your budget.